PTI MNAs attempted to requisition the session to an earlier date, however a minimum 86 signatures are needed to requisition. There are 33 PTI legislators in the lower House and they were not able to muster the required support from PPPP MNAs. PILDAT advises that there should not be such a long gap between the sessions of the National Assembly as it acts as an impediment to legislative work of the Parliament. After all, legislators are fully aware that as per the Rules of Procedure, the Government requires laws to be approved by the Lower House within 90 days of being drafted. On September 09, 2015, two MNAs from the Federally Administered Tribal Areas – FATA, Mr. Shah Jee Gul Afridi, MNA (NA-45. FATA, IND) and Mr. Sajid Hussain Turi, MNA (NA-37, FATA, IND) submitted the 22nd Amendment Bill that seeks changes in Articles 1, 246 and 247 of the Constitution of the Islamic Republic of Pakistan, that would effectively merge the FATA with Khyber Pakhtunkhwa. In Article 1, the proposed law seeks to remove FATA from the list of “territories” of Pakistan. The bill proposes adding the areas of FATA to the clause (b) of Article 246, to make all of the areas part of PATA. The bill also proposes changing Article 247 to take the Executive Authority from the Federation and hand it over to the province. It is the view of PILDAT that no decision on FATA must be made without taking into account the views of the citizens of FATA, whether through consultation with the Tribal Jirga or through a referendum orchestrated by the President of Pakistan. 2 out of the 11 MNAs from FATA have submitted this submitted this bill. In the subsequent National Assembly session we shall see the views of the remaining 9 MNAs on such a radical constitutional amendment. The Senate Committee on Defence passed the National University of Medical Sciences (NUMS) Bill on September 28, 2015. This increases the powers of the army-run medical university by allowing it to set the standards of medical education in army run educational institutions. Committee Members felt that this action may conflict with the Pakistan Medical and Dental Council (PMDC), the Federal regulatory body of medical education. During the Committee meeting, Senator Farhatullah Babar suggested adding a clause, which will oblige NUMS to follow PMDC laws and regulations. However his suggestion was not accepted, as it would mean that the bill would be referred back to the National Assembly. Senator Babar argued during the Committee meeting, “The space of the civilian institutions has already shrunk shockingly and disturbingly. It would be most unfortunate if we… continue to abdicate legitimate civilian space in matters of governance and regulation to the military authorities.”4 On October 09, 2015, the Upper House formally passed the NUMS Bill 2015. The Honorable Members of Senate marked International Day of Democracy on September 15, 2015; the first time democracy day was commemorated in the Senate. On this occasion, Senator Farhatullah Babar moved an adjournment motion seeking discussion on a statement given by Senator Mushahidullah Khan that ‘some elements’ in the security establishment had been involved in engineering PTI’s long march in 2014. Senator Babar stated that there was disconnect in civil-military relations. While Senator Rabbani denied the adjournment motion, it did spark a debate on the alleged disconnect between the civilian and military regimes. During an enthusiastic debate, Senators emphasized upon the need for the strengthening of democracy. A number of Senators conceded that there is a disconnect between civil-military relations. The Chairman Senate stated that there exists a “disequilibrium in civil-military relations” where there is a lack of confidence amongst the masses with the civilian Government. PILDAT whole-heartedly supports the Honorable Chairman Senate’s view that the public trust in democratic institutions must continue to increase, as the people are the safeguards of the democracy in their country. Additionally, it is believed that any difference of opinion between the civil and military regimes during these times of war should be resolved through existing forums for civil-military leadership’s coordination, such as the National Security Committee. During a debate on September 14, 2015, PPPP Senators heavily criticized the PML-N-led Government for “selective accountability”, in reference to Dr. Asim Hussain’s arrest. 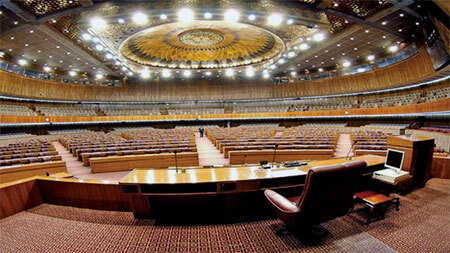 Senator Raza Rabbani, Chairman Senate, requested two Senators to postpone their agenda items so that the Upper House may discuss the issue under what he termed “matters of public importance.” During the debate, the Leader of the Opposition, Senator Aitzaz Ahsan drew the attention of the House towards the recent arrest of former Federal Minister, Dr. Asim Hussain, and criticised the Government for implicating him on terrorism charges. Senator Ahsan alleged that Dr. Asim was being tried under the Anti-Terrorism Act only to allow the Rangers to obtain his 90-day remand. PPPP Senators, during the debate, questioned why Dr. Asim Hussain was being implicated while no action was being taken against those involved in the Nandipur power project. Opposition Senators staged a walkout from the Senate on September 17, 2015, in protest during a briefing given by Adviser to the Prime Minister on National Security and Foreign Affairs, Mr. Sartaj Aziz prior to the Prime Minister’s visit to the US to represent Pakistan at the UN General Assembly. Mr. Aziz stated in his briefing that the Prime Minister Nawaz Sharif would present Pakistan’s position before the General Assembly as per the masses’ wishes and a dossier was also ready regarding the Indian involvement in Pakistan. Mr. Aziz said Pakistan would, among other matters, highlight the matter of Kashmir. Senators from the Opposition were unhappy with the briefing stating that it lacked in substance. They were of the opinion that Pakistan’s foreign policy decisions must be made by the Parliament, who can truly represent the views of the people as opposed to non-elected officials. In this regard, PILDAT is in support of the view of Opposition Members of Senate, that Pakistan must have a Foreign Minister who can be the link between the Parliament and the Government in determining foreign affairs. As per Rule 65A of the Provincial Assembly of Khyber Pakhtunkhwa, “The Speaker, on the written request of the Member in custody … may, if deem appropriate summon the Member in custody on the charge of non-bailable offence to attend a sitting or sittings of the Assembly.”5 In exercise of the powers conferred by this Rule, the Speaker summoned Mr. Ziaullah Khan, MPA, (PK-01, Khyber Pakhtunkhwa, PTI), to attend the sitting held on September 10, 2015. The former Minister for Mines and Mineral Development had been detained since July 09, 2015 under the KP Ehtesaab Commission Act, 2015 for the misuse of billions of rupees through illegal mining. Since he has not proven to be guilty for pilfering billions of rupees, he should be allowed to attend sittings unless he is officially charged, as he is still representing members of his constituency until he is de-seated. The Speaker of the Provincial Assembly of Khyber Pakhtunkhwa, Mr. Asad Qaisar, removed the administrative and financial powers of the Assembly Secretary, Mr. Amanullah over an alleged dispute over recruitments. Mr. Qaisar simultaneously upgraded the Additional Secretary, Mr. Nasrullah Khan Khattak (administration), from BPS-19 to the post of secretary (administration, finance, and accounts) at BPS-20. Though the allegations cannot be verified, this action in itself is problematic in light of the N.W.F.P Manual of Secretariat Instructions, 1989. According to Rule 4, “The Secretary is the official Head of the Department and is responsible for its efficient administration and discipline.”6 Therefore, administrative powers fall within the purview of the Secretary. The creation of multiple offices devalues the office of the Secretary is contrary to the Rules by which the office is to abide. Out of the 10 sittings that took place during the 16th session of the Provincial Assembly of the Punjab, quorum was not met on two occasions and the Assembly had to adjourn. The Leader of the House, Mr. Shahbaz Sharif, MPA (PP-159, Punjab, PML-N), whose base of power is the Provincial Assembly, was not present for a single sitting. 182 MPAs were present on average per sitting: 49% of the membership. Indeed, the problem of attendance is not limited to MPAs but is also prevalent amongst Government officials. In an unfortunate event, on September 02, 2015, Education Secretary, Mr. Abdul Jabbar Shaheen, was not present to attend the Question Hour during which the question about allegedly undesirable practices taking place in public schools was introduced. Initially the Education Minister, Rana Mashhood Ahmad Khan, MPA, (PP-149, Punjab, PML-N), stated that the Secretary was in Jhang on official duties. However, upon the criticism from the House and a reminder that the presence of the Secretary was mandatory during Question Hour, the Secretary was summoned and appeared in the House within 15 minutes.